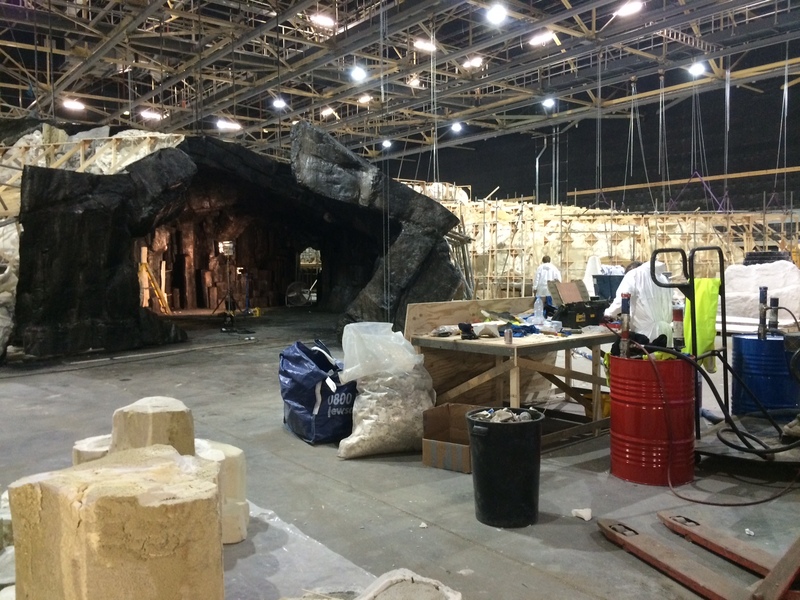 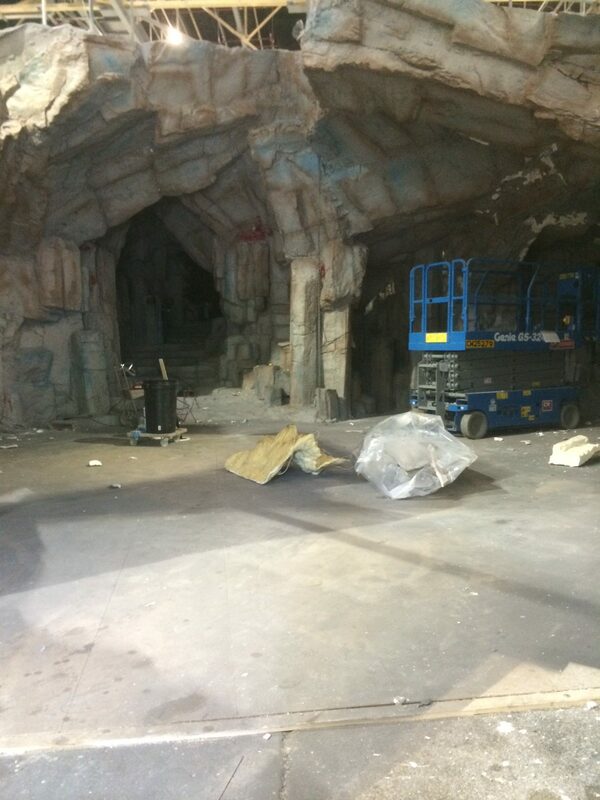 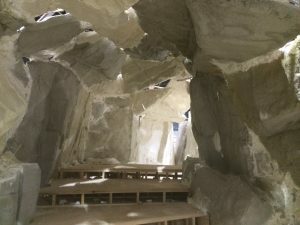 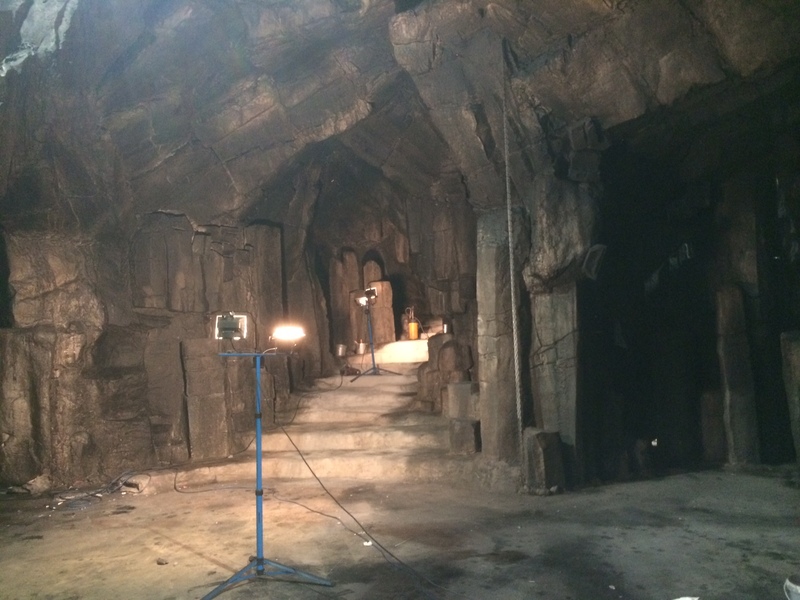 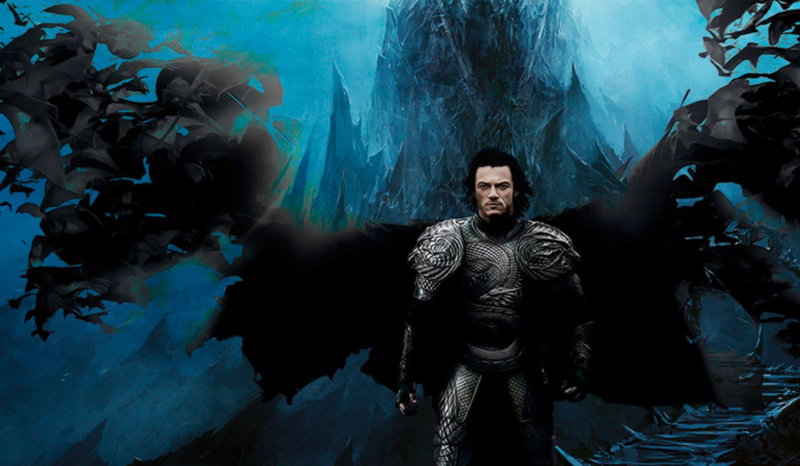 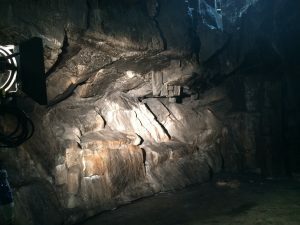 Universal Studios commissioned us to make two large cave systems in excess of 2000 sq.m. 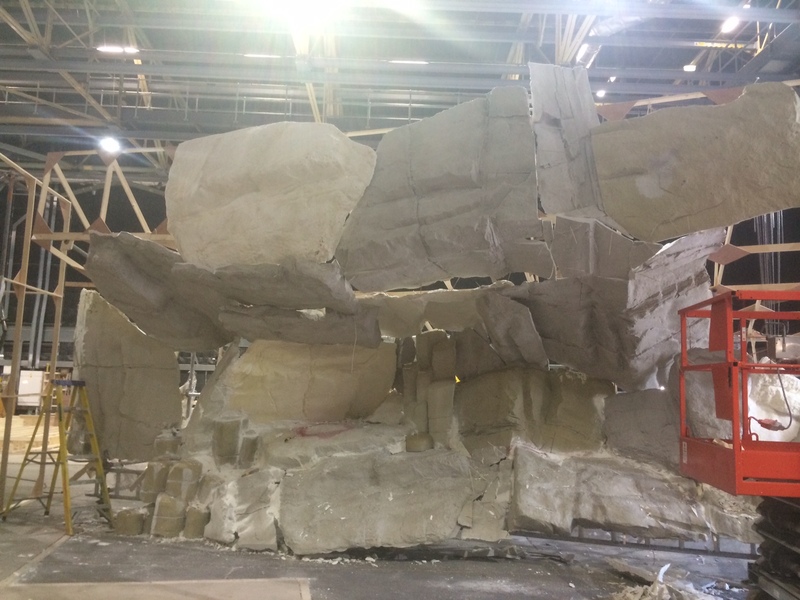 We made the panels here at our premises in South Wales, taking Silicone moulds off a real rock face. 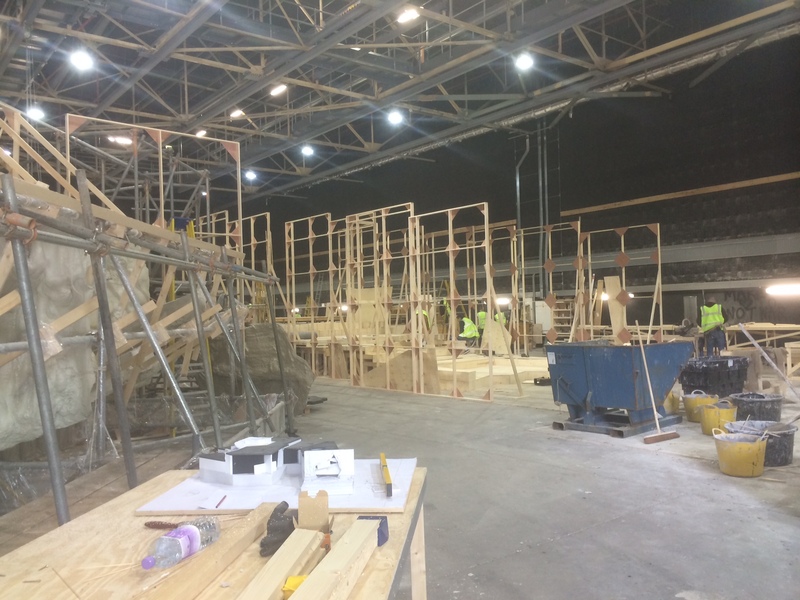 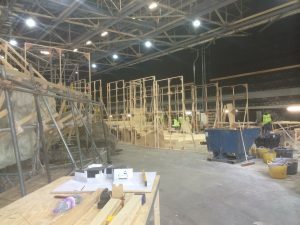 This stage of the project took 3 weeks, we then transported the panels ready to be installed at Warner Brothers (who collaborated with Universal) at Leevsden. 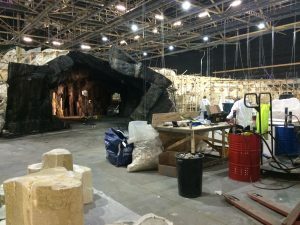 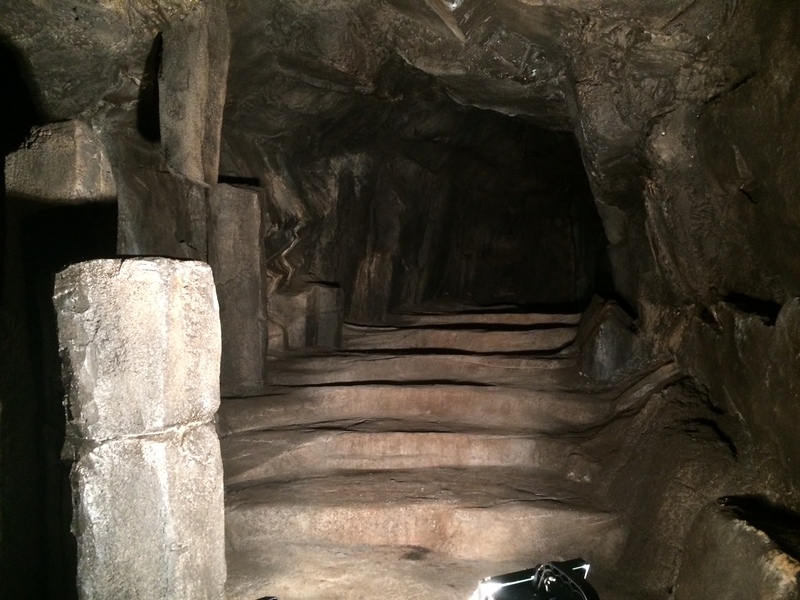 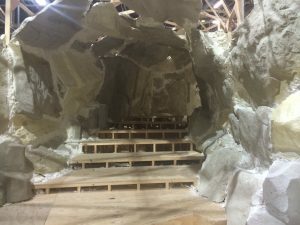 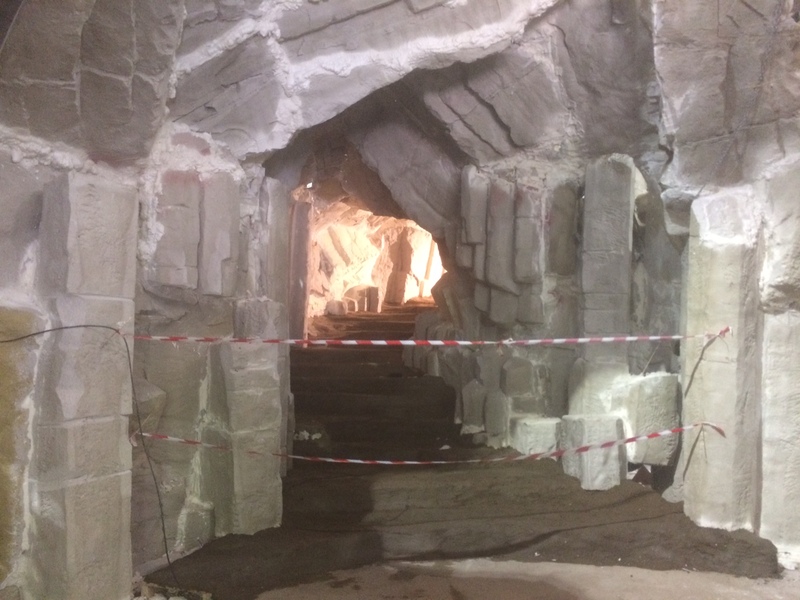 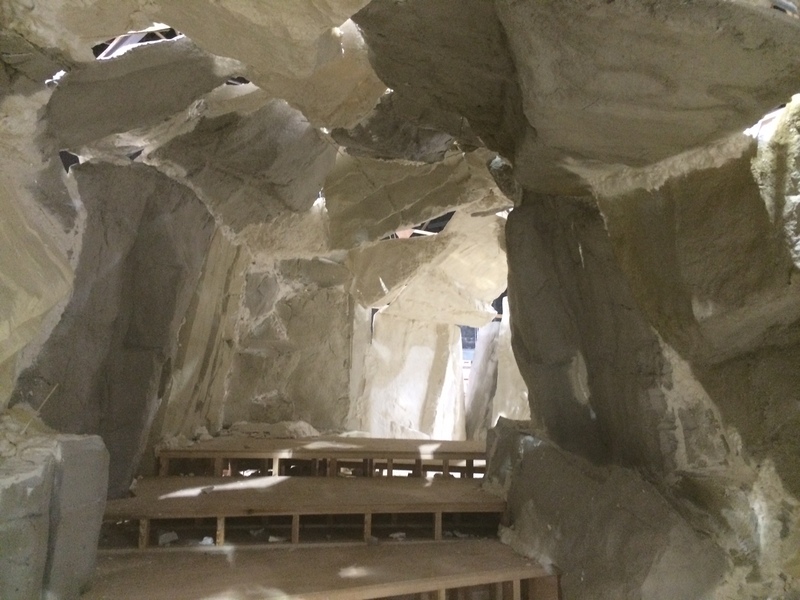 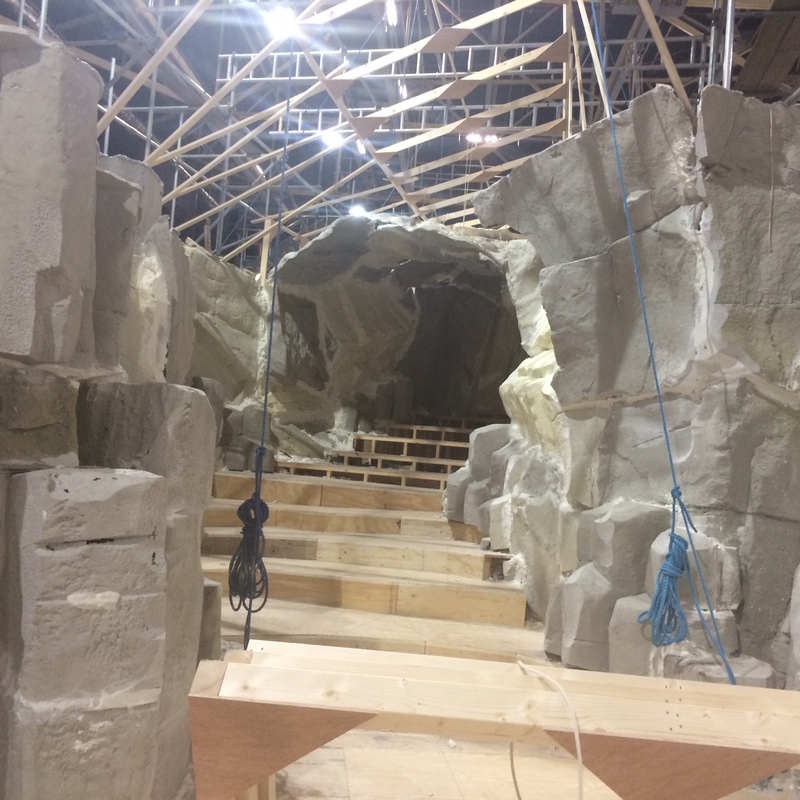 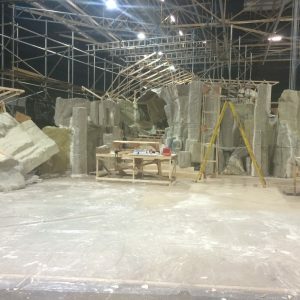 With the film close to being released we were under pressure to construct the caves before the actors came in to shoot the final scene. 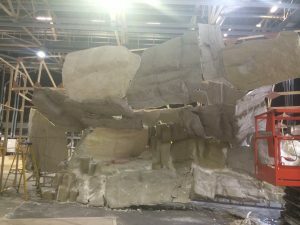 In total the project took us 41 days to complete.